The Lawrence art studio in Hove is dedicated to teaching art to adults at all levels – from beginner to professional. We have a variety of courses running weekly as well as “one-off” workshops and cover drawing, watercolour, oil and acrylic painting as well as printmaking. 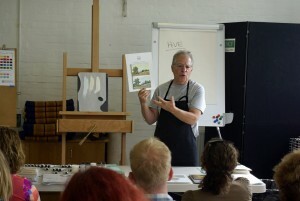 If you would like to run an art class at our studio, please get in touch.